St Paul, Minnesota, Melbourne, Australia and Houston, Texas are all venues for the world famous exhibit of the wonderful artefacts from the tomb of the Egyptian boy king Tutankhamun. Generation after generation since the discovery of the tomb in 1922 have never seemed to tire of seeing this exhibit as it has travelled the world. How many know the very real and personal accounts of the lives of the principals involved in this discovery? In point of fact, how much is known of the British aristocracy during the late Victorian age and well into the 20th Century? How much is known about the life of Lord Carnarvon and his family as it pertained not only to the discovery, but also to life of the British royals and upper classes? The three entities, King Tutankhamun, Howard Carter and the Carnarvon family are very much intertwined. 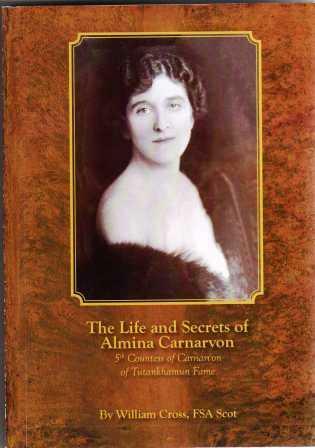 To gain a thorough, fascinating and scholarly account of this subject, one is encouraged to read the recently written book, THE LIFE AND SECRETS OF ALMINA CARNARVON, the life and times of the wife of the 5th Earl of Carnarvon by William Cross, FSA Scot. The reader is taken on a fascinating journey through the mazes, the highways and byways of aristocratic England over a span of a hundred years being ultimately punctuated by the Egyptian discovery. It is candid in the extreme as it opens doors previously securely locked. One cannot give complete attention to Egypt in the 18th dynasty without having vital knowledge of the very dysfunctional Carnarvon clan. One cannot appreciate fully what was happening in Egypt in the absence of specific knowledge of Lord and Lady Carnarvon, their lives and circumstances. In using a contemporary terminology, this story is mind-boggling. How could this cast of characters do what they did, live the lives they did and maintain any degree of sanity or stay within the bounds of cultural acceptable values? 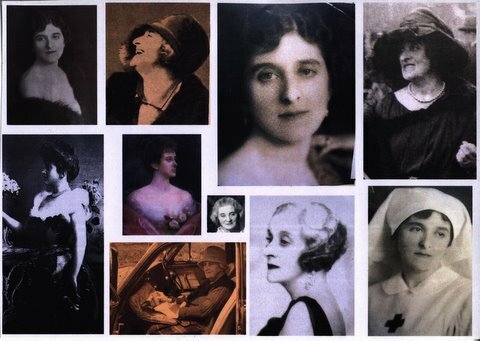 Ultimately, Almina, the Countess of Carnarvon turned her life around and was able to make an extremely valuable contribution to British medicine. The author puts forth great effort to illustrate her efforts in this regard. Since the account of the discovery of the tomb, it is vital that the life and time of Lord Carnarvon be presented, warts and all. Written with research thoroughness, this book is highly recommended for anyone interested in both history as well as aspects of human behaviour. The author’s referencing to place and deft character portraiture have us journeying with the Countess of Carnarvon through her best of times (ironically the two world wars) and the bad times when she was ostracized by her peers on account of her near penury. Diminutive of stature but not on any account to be trifled with, the author brings Almina and her world to life as do the photographs included in the book many from private collection which chart her humanitarian work in nursing home development alongside her somewhat unorthodox amorous and fiscal arrangements from stately home grandeur to suburban anonymity. I have no doubt The book will make uncomfortable reading for some within the highest echelons of the establishment, but it is neither prurient nor dull and for layman and social historian alike it makes a darn good read! Cheques/ POs payable to " William Cross"